Dean Skira's Polesano Street Lamp for Delta Light can Create "all necessary forms of light"
Lighting designer Dean Skira explains how his Polesano street lamp for Delta Lightcan be used to light a multitude of different urban settings, in this movie Dezeen filmed for the Belgian lighting brand. Polesano is Delta Light's first large outdoor lighting system. Skira, who runs a lighting design studio in his hometown of Pula in Croatia, designed the modular street lamp to be as adaptable to different settings as possible. "Polesano is a multi-functional urban device that provides all necessary forms of light in one single aesthetically unique structure in various different urban settings," he says in the movie, which Dezeen shot at Skira's studio in Pula and Delta Light's headquarters in Belgium. The lamp comprises a square pole, onto which multiple heads containing LEDs can be fitted. This allows it to provide different intensities and qualities of light depending on the environment that needs to be lit. "If you have a park or a beautiful landscape setting in an urban environment, all of these different situations require different kinds of lighting," Skira says. The heads fitted to the pole can be angled in any direction and can be customised with a range of different optics to create different types of light – from spot lighting to flood lighting. Skira claims that the manoeuvrability of the heads and range of optics available allow architects and designers to fine-tune the atmosphere created by the light. "You can create various different visual environments and moods in one single space from one single position," he explains. The pole of the street lamp is notable for its square extrusion, unlike traditional street lamps, which tend to feature round poles. The heads feature a similarly square form, creating a unified aesthetic. According to Skira, the appearance of the lamp came from a desire to create "a light fitting and a pole becoming one single body, which is aesthetically neutral and appealing to any kind of environment". 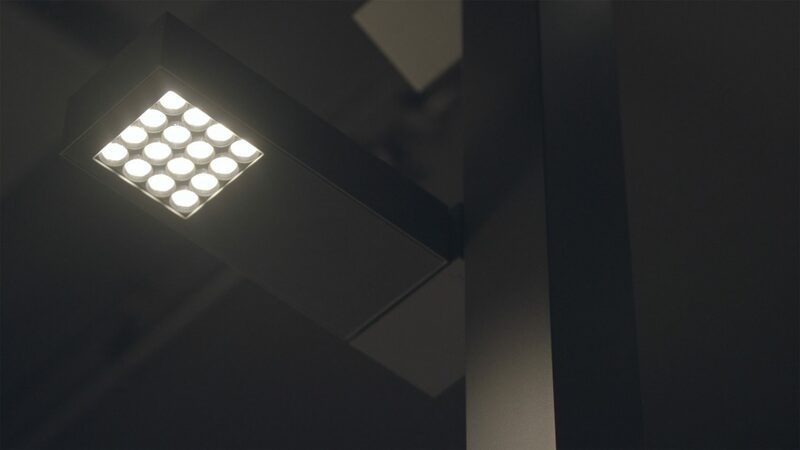 Skira believes that having more flexible lighting in urban environments will have an impact not only on the appearance of the city, but will also improve the everyday life of its residents. "Lighting is not important for architecture, lighting is not important for the street," he says. “Lighting is important for the people who live there. We can't use the same utilitarian light everywhere." "We used the expertise of our team to bring Dean's idea into life," says Peter Ameloot, research and development manager at Delta Light. Ameloot's team worked on engineering the heads of the lamp so that they could be angled in any direction and installed at different heights. Delta Light is also developing a version of the product with wireless capabilities, enabling it to be easily controlled remotely. "Wireless controls will make the Polesano an even more multi-functional fixture in the future," Ameloot says. "With light you can create magic and we're really looking forward to seeing how architects and designers use the flexibility of Polesano to light their spaces in new creative ways," he continues. This movie was filmed by Dezeen in Pula, Croatia, and Wevelgem, Belgium, for Delta Light. All images are courtesy of Delta Light, unless otherwise specified.